Back in the good old days when gaming was for the couch ridden and the only exercise we had was moving our thumbs and eyeballs, we never dreamt that a day would come when, god forbid, we had to get off our aching backsides and move around whilst playing a game. Ah those glory days (misty eyed look). Then in 2005 those pesky developers at NINTENDO came up with the Wii and forced us from our gaming chairs and made us throw ourselves around the living room in an unnatural way. OK, I admit I did enjoy the Wii for a while, especially Frisbee golf (where I ruled supreme) but after MARIO CART, the love affair quickly dwindled and we soon drifted apart. Before long it was back to my old flame the XBOX 360 and the comfort of my settee. Now I bet there are a number of you out there that have had the smashed TV screen (me included) due to the remote flying out of your hand because you couldn't be bothered to attach the fiddly wrist strap to the remote. It's OK there’s no need to feel ashamed because there is a new smarter kid on the block! Yes ladies and gents, the KINECT from MICROSOFT is here… well actually it's been here a year now (10/11/2010) and it certainly does kick bottoms. I know what you are thinking, is it worth spending nearly £120 ($149.99 US price) on a device that is similar to the Wii? Well the answer is Yes! To top it all, it is actually nothing like the Wii. For one thing, the games are better for the most part (there are still a few dodgy one’s out there), but the potential is vast and this device can only go from strength to strength. Of course being a bloke, I tend to like gadgets and this is another must have because of the future possibilities that this device holds. Alright “is this just another fad?” I hear you say. My answer is "No, not really this is here to stay!". OK, so many of the games are mainly dancing and jumping about type of thing, very similar to the Wii and Sony's MOVE, but this device holds so much more. It is the future and I think will be the death knell for the likes of the Wii (which is already struggling). The KINECT has given the interactive gaming concept a new boost. Of course it's never going to replace the good old controller I hope (let’s not go down the road of the new Xbox speed wheel replacing the standard one) as there are still many of us that prefer to sit on our backsides and that will never change. 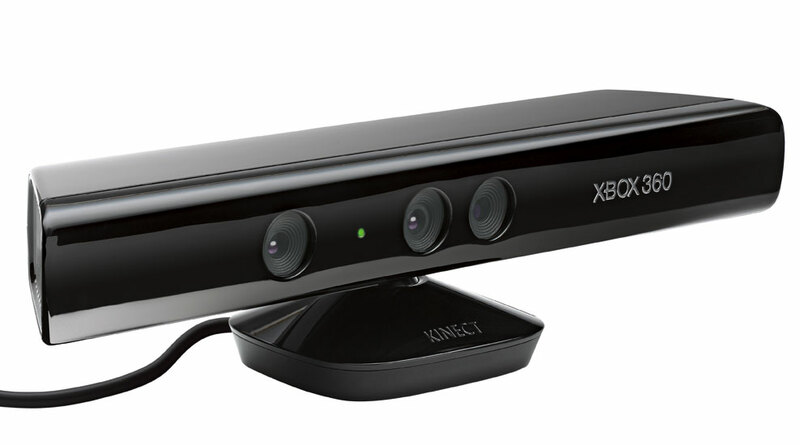 For the family and friends interactivity, it is a must.The KINECT can read individual faces (providing you register your face with it) and it instantly recognizes you when you stand in front of it, which is cool. The XBOX KINECT is one of the best new innovations to hit the gaming industry since the introduction of the Wii, except you don't have to worry about smashing your new plasma with the remote. The usual hazards are there of course; knocking over furniture and slapping your opponent in the face. "All good fun!" I hear you cry. With the new Wii coming out next year, unless NINTENDO have something extraordinary, then I would pack up and get out of the console business because the KINECT has just got started. I think we are in for some real treats to come, especially when the new XBOX 720 comes out sometime in the next 5 years (edging my bets on a release date here). The MICROSOFT KINECT is a great innovation and will change the face of gaming. If you are considering a NINTENDO Wii at all, check the KINECT out first. There are more variety of games, better interactivity and its controller free! OK some of the games are not up to much (quite a few of the Wii crossovers for starters), but that’s the game industry in general. However there are some real gems out there at the moment, KINECT SPORTS One and Two for example. It is a great way to have fun with friends or even exercise without knowing it (bonus). I am sure we are in for some more interesting developments from this device in the future.